This past weekend wasn't what I hoped it would be. At all. After what should've been a six hour drive, but turned into an eight hour one due to a fussy baby and driving 30 mph in a torrential downpour, we finally made it to the lake house around 2AM. Then, we waited around all day Saturday for my mom to get there and when she did, she had some bad news for me. My grandmother is in the hospital and will be moving to a rehabilitation center then to a nursing home. It's actually today sometime. So, with all of that going on and then some, let's just say that instead of a relaxing weekend at the lake, it was incredibly, incredibly stressful. 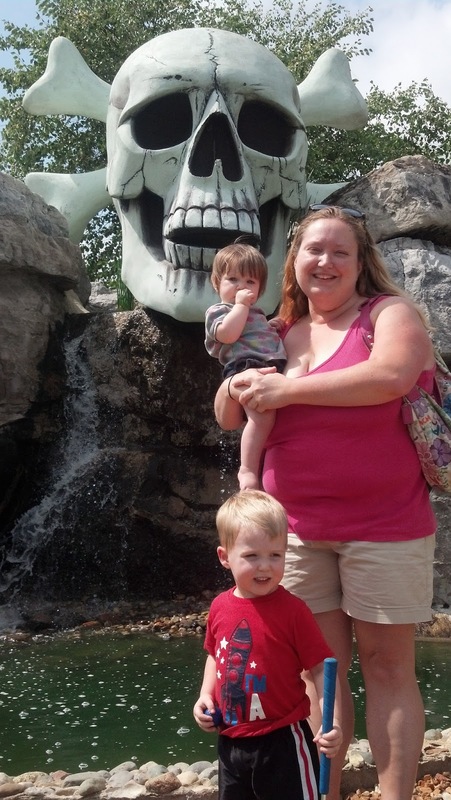 Since I have a lot going on this week and honestly don't know how much I will be able to post with the exception of things that are already scheduled, I will share a couple of the good moments we had playing mini golf. He was so excited it was a pirate themed course. Holly! So sorry about your grandma and all the stress. Glad you had a little fun, though. 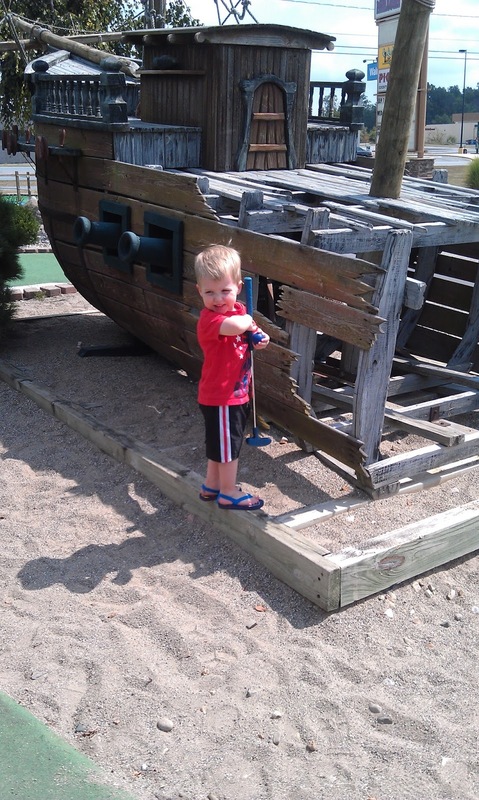 Can't beat mini golf! So sorry Holly! I hope the stress lets up soon! 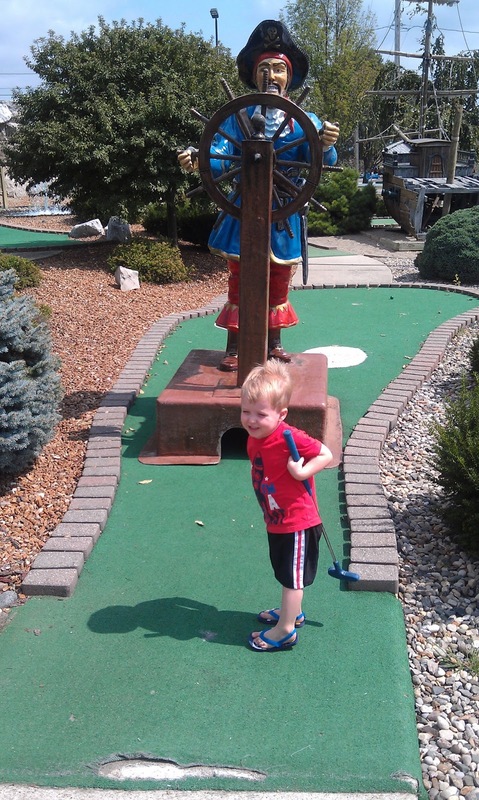 At least you had an adorable golf companion! oh no. I hope things get better soon. A pirate-themed course is rocking awesome!! :) Thank you for linking to Super Sunday Sync!